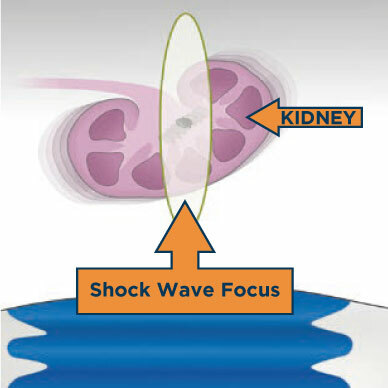 A procedure that utilizes shock waves that travel from outside of the human body to the targeted area inside of the body housing the kidney stone via a lithotripter device. 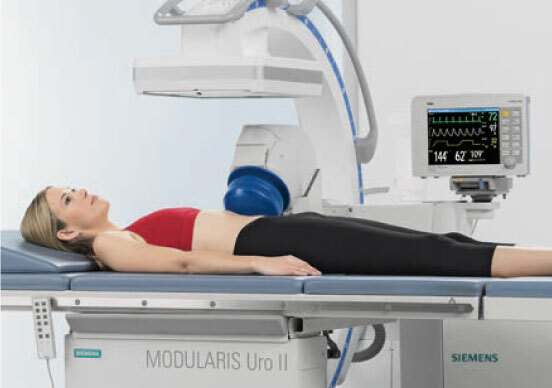 Extracorporeal Shockwave Lithotripsy: Lithotripsy, as a word, is of Greek origin. “Litho” meaning stone, and “tripsy” meaning crushed. 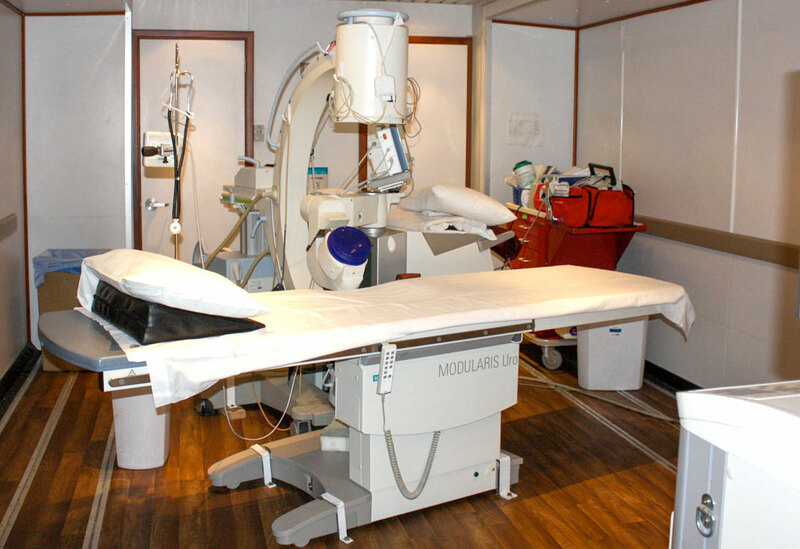 Extracorporeal (outside of the body) shock wave lithotripsy is a procedure that utilizes shock waves that travel from outside of the human body to the targeted area inside of the body housing the kidney stone via a lithotripter device. This results in fragmentation of the stone so that it can pass safely out of the body through the ureter. This is the least invasive treatment and generally requires mild sedation.